Render denoising in V-Ray for Maya. Beta 3 of V-Ray Next for Maya, the next major update to the renderer, adds support for Nvidia’s AI-based OptiX denoiser in Viewport IPR previews as well as final renders. Chaos Group has released Beta 3 of V-Ray Next for Maya, the next major update to the Maya edition of the renderer, adding a new texture layering system and support for bucket rendering on the GPU. 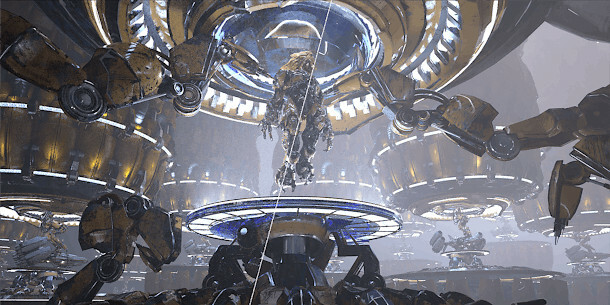 The update also makes Nvidia’s OptiX denoiser available in Viewport IPR previews as well as final renders. Changes in Beta 3 include bucket rendering on the GPU – now including Cryptomatte render elements. The release also adds VRayLayeredTex, a new node for layering 2D textures with 25 blending modes. Viewport IPR previews now support OptiX denoising – previously only available for final renders – plus a new option to isolate and override materials with debug shading when troubleshooting shader networks. There are also a number of smaller changes, which you can find via the link below. Assuming that Chaos Group follows the same release schedule as V-Ray Next for 3ds Max, this should be the final release of V-Ray Next for Maya, with a commercial release following in a month or so. Chaos Group hasn’t announced pricing for the commercial release, but the current stable version, V-Ray 3.6 for Maya, starts at $1,040 for one floating user licence and one floating render node licence.